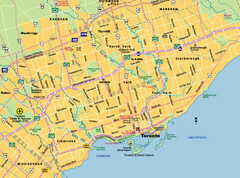 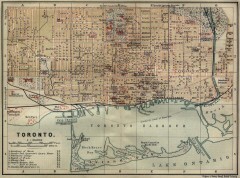 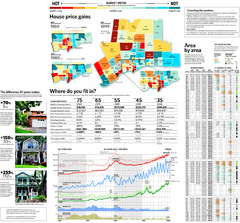 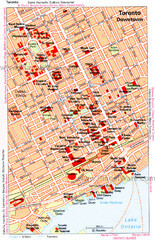 Tourist map for Downtown Toronto, Canada. 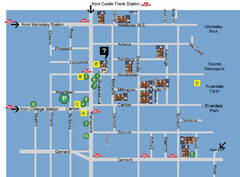 Street leve map with tourist site highlighted. 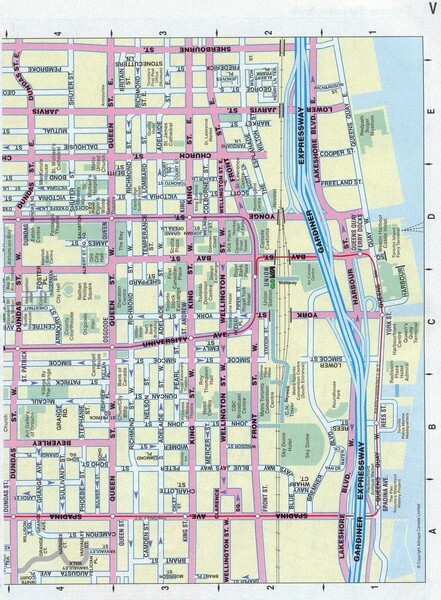 Subway lines also shown.